Join Us at Orange Coast's Best Restaurants Party 2019! Come celebrate our 2019 Best New Restaurants featured in the April issue. Get your tickets now to the most delicious night in Orange County! This event will sell out! Ticket includes unlimited tastings (while supplies last) from our best new restaurants, past winners and classic favorites. Enjoy desserts, cocktails, beer, wine, meeting our chefs, photo booth, music and more! Portion of ticket sales and 100% of on-site event raffle will benefit the Golden Rule Charity. Stay tuned to see who else will join the party! THIS EVENT SOLD OUT LAST YEAR! GET YOUR TICKETS EARLY TO GUARANTEE YOUR SPOT AT OUR MOST POPULAR EVENT OF THE YEAR! Event is 21 & over. Please drink responsibly. We recommend BEST-VIP Chauffeured Worldwide for all your first class transportation needs. Book between 4/1/19 and 4/30/19 with promo code “Taste19” and receive a 10% discount. 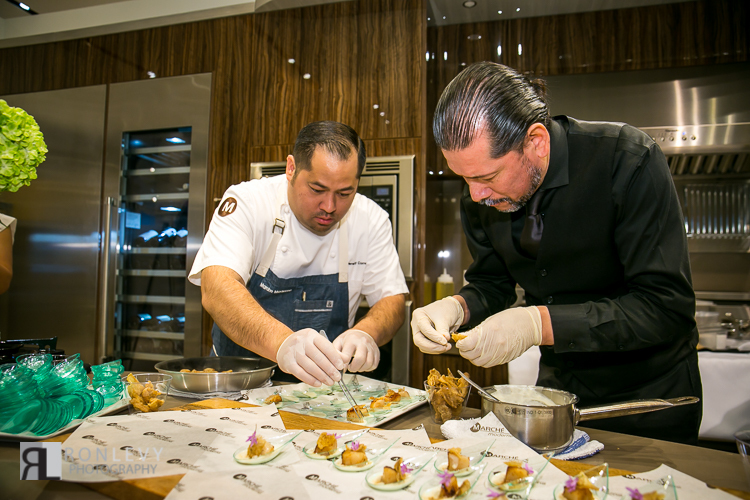 Check out pics from last year’s Best Restaurants Celebration! The talented team at Marché Moderne prepare their delectable Hokkaido scallops! See them again this year at our Best Restaurants Celebration! Want to be invited to our parties? Sign up to be an Orange Coast Insider below!